We understand that everyone can’t fit into our travel calendars or find our ready-made packages convenient, and for this reason, we specialize in tailor-made travel just for you/your party based on the custom travel desired. Whichever travel path, or country you decide to choose, we would be more than happy to plan a life-changing travel experience for you. The idea of travelling solo can be daunting (especially for first-timers). We can help you design solo travel plans to the destinations of your choice, to ensure you maximise that travel experience. Our packages will be based on your interests, budget and safety. 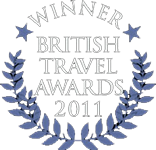 Honeymoons, proposals, wedding anniversaries or merely a ‘feel good’ trip for you and your partner? We’ve got something for you. From beach holidays to city holidays, couples can be sure to get something exciting! Birthday parties, hen do/ stag do events, bridal showers, proposals or destination weddings? Let’s handle the travel logistics from party venues, to vendors and most importantly the total travel management of your guests, allowing them have the ultimate out-of-country experience they truly deserve. For that girls’ trip, holiday with the guys or some well-deserved vacay with the whole squad, we have you covered because we know that time away bonding with your favorite people requires the best destinations that guarantee fun and rejuvenation. The reality of planning around the availability of members of a group can be overwhelming so allow us to take up all that planning anxiety and all you’ll need to do is meet up with your goons at the airport. Talent needs reward, and for this reason, a get-away with your staff could be the best way to reward them and to improve staff engagement/ co-operation thereby leading to a more effective workspace. In the long run, profits and positive results are what your company will be enjoying. For this reason, we have put together various packages that will allow for staff-bonding activities- fun, learning, developing and relaxing all as a team! the world is our classroom, and so learning shouldn’t be confined to schools. Children will benefit a great deal from outdoor learning via travel. We’ll factor in your school’s curriculum into the country of your choice- from experiencing the Sahara desert in Morocco (Geography) to understanding the rich historic culture of the United Kingdom. We’ll gladly curate packages for your various business groups to suit the purpose of your get away, ranging from Photographer’s conferences in a picturesque cities like Dubai, to fitness bootcamps in a country which promotes good living for the mind and soul, like Bali. Your professional or leisure groups are can and should be left in our care. Family reunions, school holidays whatever it is and to whichever location, we’ve got something that would allow you bond with your family whilst the children have splashes of fun times in the country of your choice.